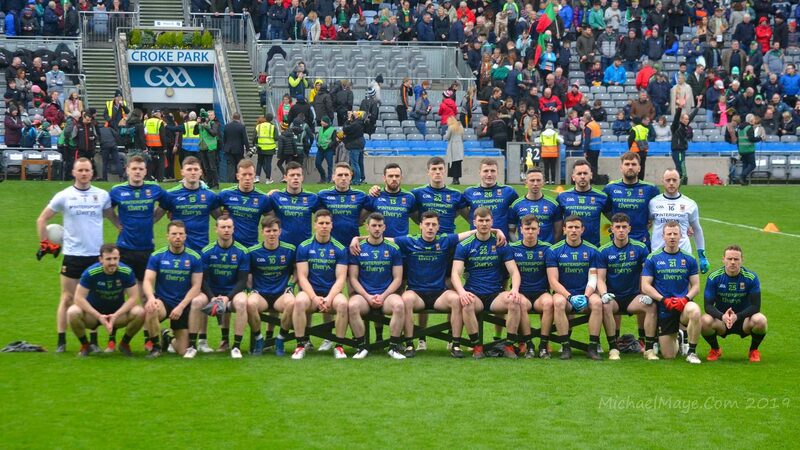 The last remaining match in this year’s National Football League – the delayed Division Three final between Westmeath and Laois, in which the Lake County prevailed by three points – was played this afternoon. The conclusion of this game means we can now also bring down the curtain on this year’s NFL prediction mini-league, which was hosted once again this year by Facetheball.com. 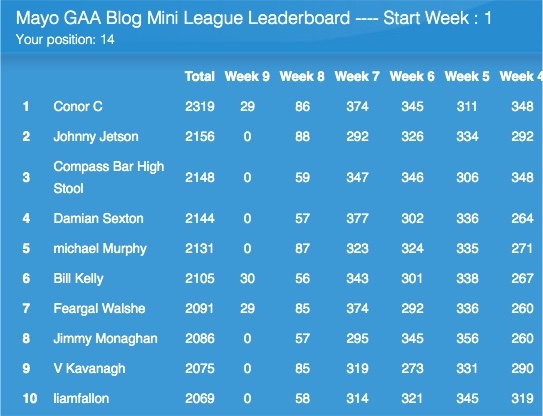 As I mentioned in the last update, Conor C – who has been out in front in this particular race since as far back as Round 2 – was uncatchable ahead of today’s final fixture. He still managed to extend his lead today – winners do what winners do – and so finishes up a full 163 points ahead of the chasing pack. Congrats to Conor on his win and well done to all who took part in this year’s fun and games. We’ll be back early next month with the Championship variant. In the meantime, here’s the final top ten in this year’s NFL prediction competition. I wouldn’t mind being on the high stool in the Compass bar right now !